Back in the summer 2015 the first new book in Stieg Larson’s Millennium series was released. I gave The Girl In The Spider’s Web a positive review. The novel was not written by Stieg Larson, he sadly passed away at 50 in 2004. Instead it was written by Swedish true-crime author David Lagercrantz – not without controversy I might add. 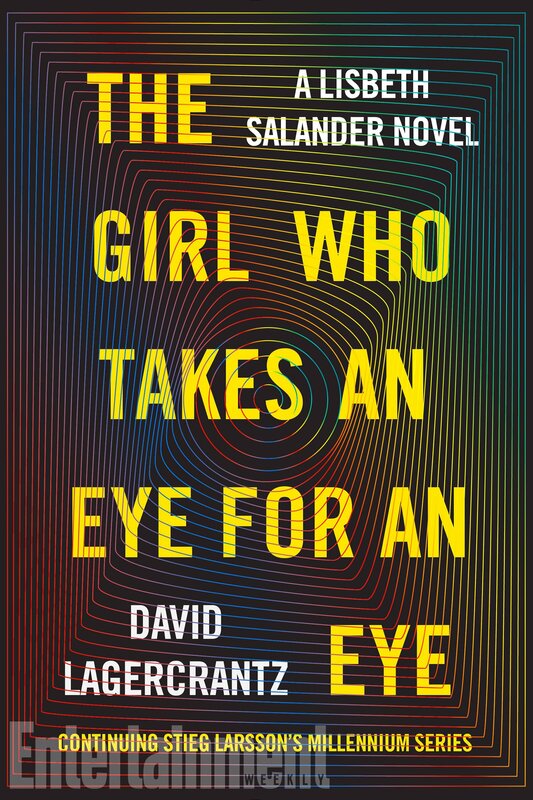 Soon, a fifth novel, also written by Lagercrantz, will again spur on characters Lisbeth Salander and Mikael Blomkvist to uncover mysteries. The Girl who takes an Eye for an Eye set for release on September 12th. Below you can read the synopsis. The novel appears to be a direct sequel to The Girl In The Spider’s Web. The reference to her sister Camilla means Lisbeth will have to take on her sisters deadly gang. On other sites there have been references that a lot of the story will take place in prison, with Lisbeth incarcerated. I hope this will not be true for the entire story. One downside of novels 2 and 3 was that she had far less to do – less investigating than the first novel The Girl With The Dragon Tattoo. Meanwhile the new movie adaptation that has been in development hell for years is finally inching forward to production. The 2011 adaptation (has it been 6 years already?) underwhelmed at the box office, despite positive reviews. A sequel was problematic as the cost of paying the lead actors Daniel Craig and Rooney Mara would have bitten into the budget too much. However, the latest rumors has Claire Foy play the infamous ‘Girl’. The story that is being adapted is David Lagercrantz’s first Millennium novel, the fourth in the series. I think that make sense. Come back in September to read my review of The Girl who takes an Eye for an Eye. The Girl In The Spider’s Web Review!